October 4, 2004 - Twin Galaxies Referee Robert T. Mruczek Post: New High Score Reinstatements: There will be a few more scores, quite a few, that will hit the scoreboard over the next few months as we clean house. Some are quite high, and some forgotten video game scores of yesteryear will soon be recognized. (Head - On and Track & Field Reinstatements? November 9, 2004 - (PART II - STEVE WIEBE) Steve Wiebe, Donkey Kong Champion, is required to replay game in front of Robert T. Mruczek in order to get High Score Approved. Steve Wiebe's score said to be done on an unacceptable Double Donkey Kong Conversion Kit. 1,006,600 Score Not Approved. Steve Wiebe states, "I accepted the invitation for Robert T Mruczek to come out. I figure I've got nothing to lose." November 13, 2004 - Paul Dean receives Spy Hunter High Score Certificate sent on November 13, 2004 by Walter Day for accomplishment done on June 28, 1985. November 18, 2004 - Robert T. Mruczek gives full report of Funspot Competition Video Game High Score Results. November 23, 2004 - Gary Vincent (CLOSED) Funspot Classic Game Message Board for good due to negatity towards one another regarding high scores and cheating and unfair activities going on. To Many Complaints. 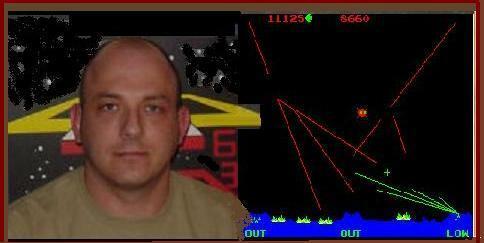 November 24, 2004 - Gary Whelan beats Perry Rogers 21 year standing Galaxian High Score with a new record of 399,290, here is a Review of this amazing accomplishment. December 3, 2004 - Mark Little Spy Hunter Champion Articles with Spy Hunter Developer George Gomez Accomplishments. December 4, 2004 - David Palmer - One of the best players of the 1980's remarks on his lost scores that were never made public or recognized, but now are being looked into for their merit as the best scores in the world. December 12, 2004 - Les Martin Super Pac-man Score of (10,106,040) Not Accepted - A Review of this classic score controversy. January 27, 2005 - There is a new world record for the 1980 midway classic video game, "wizard of war" by David Yuen. Robert T. Mruczek reports this one came out of the blue, when completed on January 1, 2005. February 7, 2005 - The Classic Video Games are back in the "Thirty Nine Classic Games in One Cabinet (39 in 1)", so you can relive the arcade feel of video games in the arcade and be transported back into the 1980's. 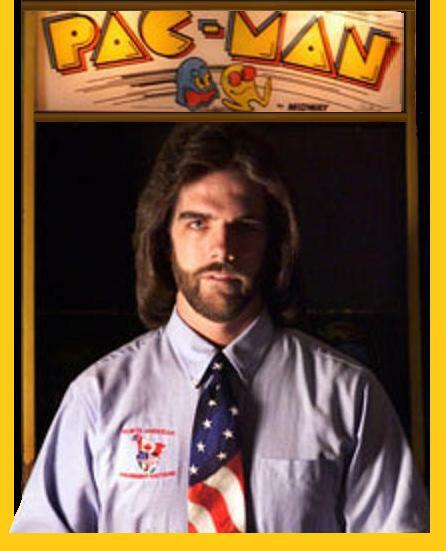 February 14, 2005 - Donald Hayes takes 7th Classic Coin-Operated Video Game World Record Title, making him the first to beat Billy Mitchell on Consecutive Classic Video World Record titles Held. This has not been done since the early 1980's. March 4, 2005 - Robert Mruczek discusses the Church Of Mame: Is Mame, "Emulated Classic Video Games" a religion? March 11, 2005 - Paul Dean discusses, The Video Game Operator is disappearing because of hard times in the coin-op business and a continued lack of support of video games by manufacturers, customers and increased home console competition. March 14, 2005 - A Discussion about the accomplishments of the 1983 Ms. Pacman Masters, The Trio; Bozeman Montana Think Tank, Tom Asaki, Don Williams and Spencer Ouren, the first to learn grouping techniques to get over 400,000 points in Ms. Pacman. 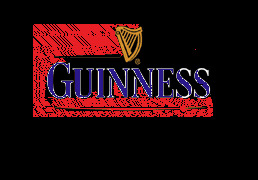 March 20, 2005 - A Jeff Peters, Mark Longridge Twin Galaxies Referee's Discussion about the accomplishments of the 1985 Masters Tournment Masters, Roy S on Missile Command and Paul Dean with Spy Hunter Guinness World Records. March 25, 2005 - (Year 2005) Robert Mruczek of Twin Galaxies has set forward $20,000 in Arcade Bounty Prizes for those who are willing to break some of the long standing coin-operated video game high scores. 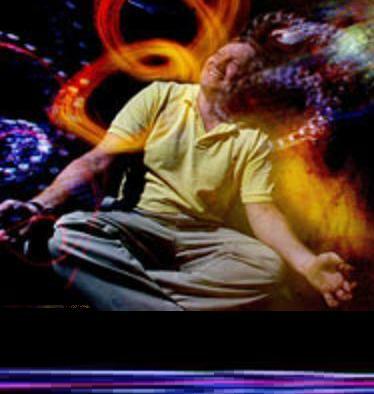 April 1, 2005 - Bill Jones beats Classic Era Stargate High Score of Scott Heyano after this 20 year long standing record. 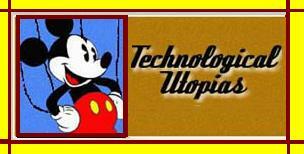 April 14, 2005 - Much like the beginnings of the Video Game Industry and its creation of virtual environments, The Disneyland, (Walt Disney), Monsanto House of 1957 tries to look into the future. Is this Utopian Environment Possible? April 24, 2005 - Is the Retro Classic Video Game scene having a revival in the US as it is in the UK ? 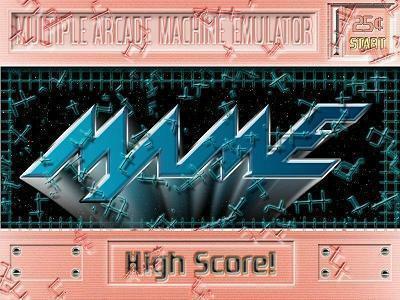 Does the arrival of Mame and the Internet make classic games more accessible? April 26, 2005-June 5, 2005 - Steve Wiebe Donkey Kong World Record Timeline. April 29, 2005 - Are any of the 1986 Guinness Book of world Records Video Game Players World records still standing? the first player who beat the game! September 29, 2005 - Ludology meets Narratology the study of video games, a scientific study of video games and it's socialogical effects and Philosophic Concepts of the make up of a video game and its parts. October 7, 2005 - Video Game Addiction has proven deadly for some. October 24, 2005 - Coke and Pepsi advertisements are shown throughout video games, both in the classics and in the current games. Lets discussion these ads and the gamers attitude towards them. October 29, 2005 - The Texas Pinball Tournament has been to bed with its winners and with some October Fun tp boot. November 6, 2005 - Paul Dean takes a stab at what makes the difference between a good pinball player and ag great pinball player. November 12, 2005 - Paul Dean takes a look at the Classic Thanksgiving video game, Turkey Shoot. 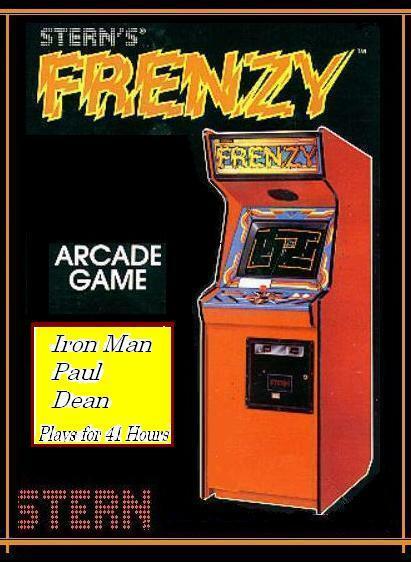 December 6, 2005 - Paul Dean takes down 22 year old record of Frenzy at Game Competition Shootout on December 2-4, 2005 at Humble, Texas with a 41 hour game. 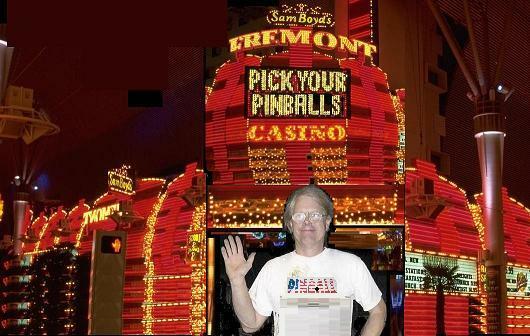 January 28, 2006 - Tim Arnold opens a new arcade in Las Vegas to single-handedly save the nostalgia of the last pinball games and reminding people of the art, history and just plain fun of the pinball era and its people and time in our American History. February 16, 2006 - Kelly Tharp will try to beat the long standing Q*bert world record at the Classics Video Game Contest starting on February 20, 2006. 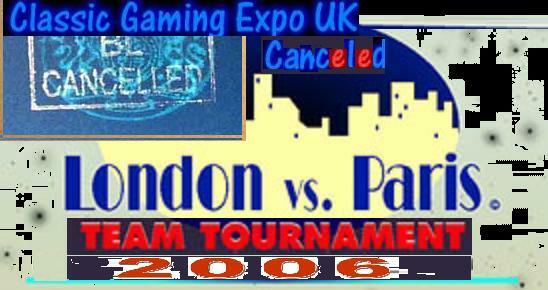 March 11, 2006 - Due to debt and demoralizing negativity from those who should know better, heroic CGEuk 2006 organizers Chris and Christine Millard have cancelled this years CGE UK event. Thus the high score challenge issued to the French has been cancelled. See the details here. March 25, 2006 - 2006 Classic Classic Video Game Showdown: Who is the Toughest Gun?? 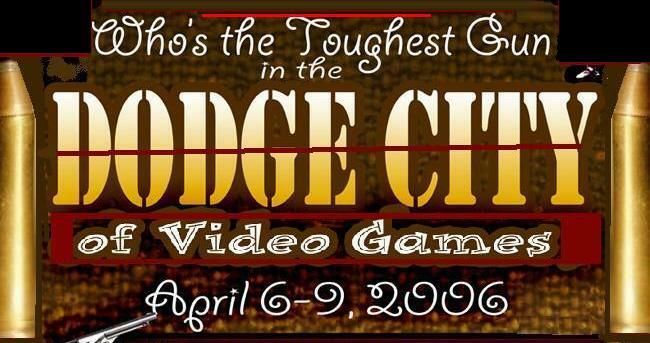 A big Classic Competition with all the legendary players, will be at the Apollo Amusements Center at 820 Andrews Street, Pompano Beach, Florida on April 6-9, 2006. The Superstar Legendary Results will be in the 2007 Guinness Book of World Records. Click here to see who those Big Guns are and their Biographies. 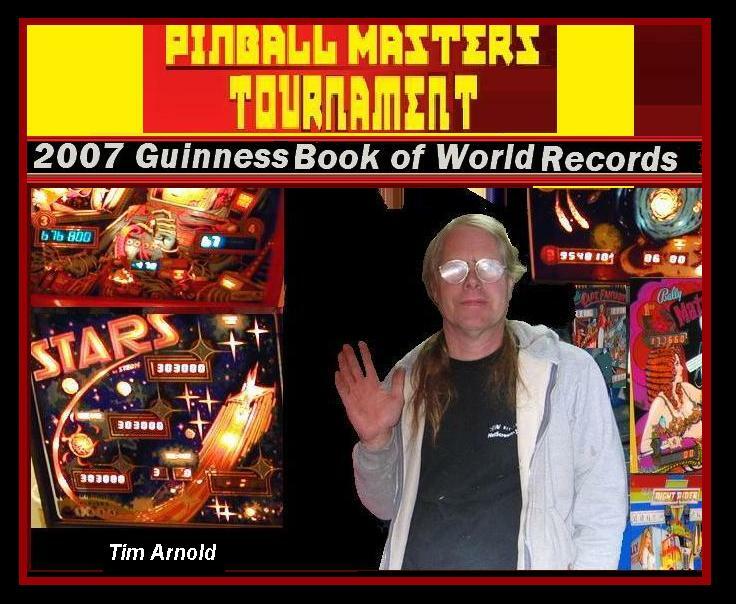 April 1, 2006 - (On March 9, 2006), British Gamer, Tony Temple beat Roy S July 3, 1985 Missile Command Guinness Book World Record with a new high score of 1.967 million points. 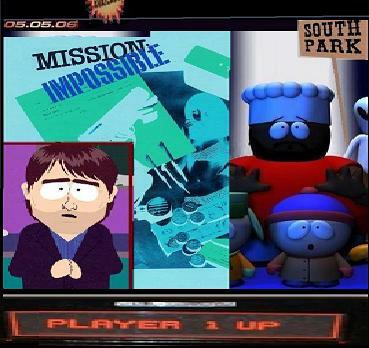 April 6, 2006 - What do Mission Impossible, 2001: A Space Odyssey and South Park have in common? I have tied them all up in a bundle and analyzed Technology VS South Park and the New Reality? Lets take a look. April 17, 2006 - Bryan Wagner shows us a thing of two with Peter Pepper and BurgerTime by surpassing Billy Mitchell's 1984 long standing world record. 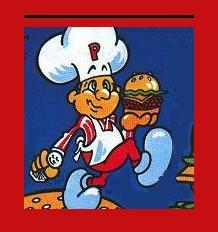 Lets take a look at the new BurgerTime World Record. 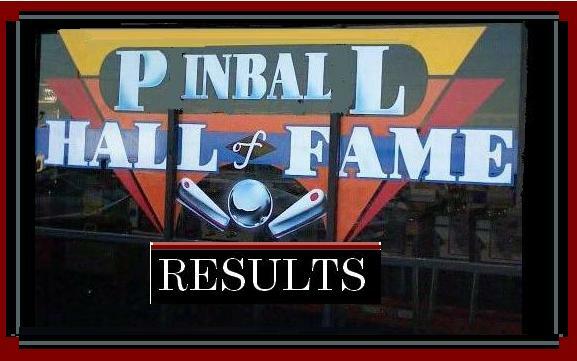 May 7, 2006 - Las Vegas Hall Of Fame Tournament Results Las Vegas Contest April 28-30, 2006 Hall of Fame Pinball Tournament Results with Jim Belsito taking three pinball world record titles to be in the 2007 Guinness Book of World Records. May 29, 2006 - California Extreme July 8-9, 2006 to be spectacular do to the big name guest speakers, great classic games, and top notch pinball master champions competition. The Slidebar - Rock and roll Cafe & Reagan Years Classics Arcade Now Open June 16, 2006 The Famous Slidebar Cafe with famous owner from Lit, Jeremy Popoff has reopened its Reagan Years Classics Arcade which is adjoined to the Cafe and Bar. 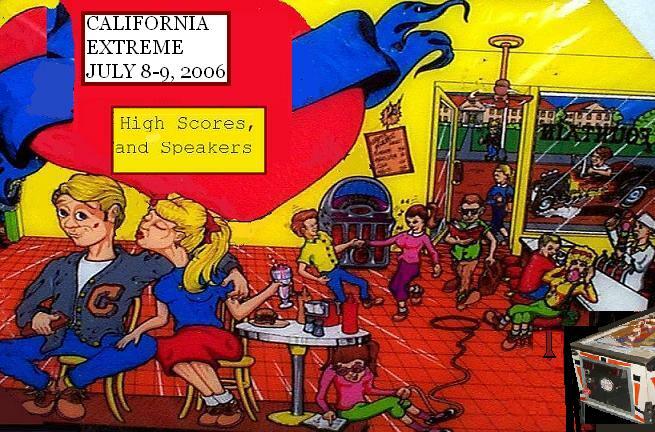 July 2, 2006- The biggest name to come to the California Extreme Event from the 1980's "Vid Kidz" production team, Eugene Jarvis, will be speaking as well as many other speakers as other big activities and video game and pinball competitions. 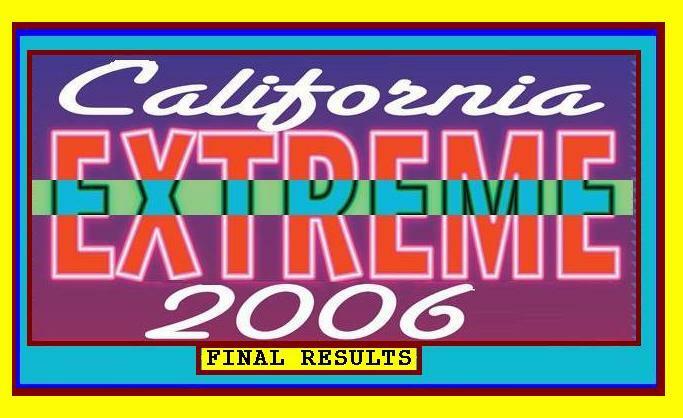 July 13, 2006- Read the story of the Final Results for the California Extreme Events of July 8-9, 2006 and the Paul Dean Pacmania/Spy Hunter High Score Contest Results and pinball results. August 8, 2006- Read about my experiences at this wild Fabulous Fantasies pinball event complete with Roller girls, Pirates and Limos'. You won't believe it. August 23, 2006- The Guinness World Records 2007 Book is out with four pages of video game and other related high scores. 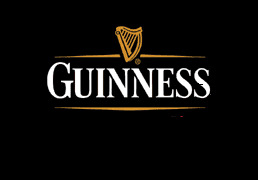 Lets compare the New 2007 Record Book to the last 1986 Guinness Book of Video Game World Records to compare the New Classic Game Modern Players with that of the Classic Age Players. 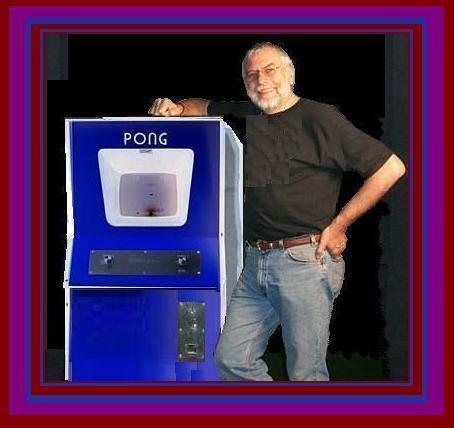 September 11, 2006- Nolan K. Bushnell is the founder of Atari, Chuck E. Cheese and producer of Pong. He now has a new company and is bringing interactive gaming back with his new Uwink Touch Screen Restaurant. Let's take a look at Nolan K. Bushnell's history and his future in the gaming franchise. 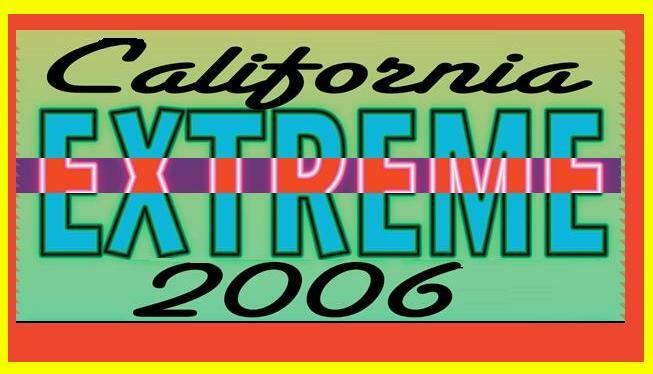 California Extreme 2004 has finalized the speaker schedule for this year. 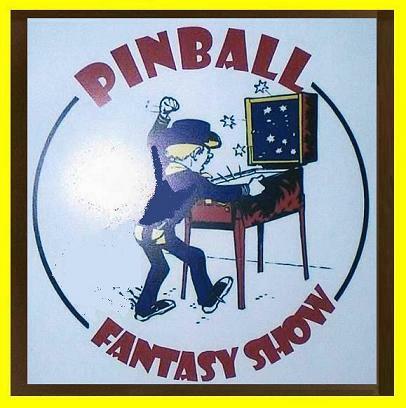 * 5:00 PM - 6:00 PM -   "Classic Gaming As A Competitive Sport"
* 6:00 PM - 7:00 PM -   "Building the Pinball Hall of Fame"
Several tournaments will be held throughout the show this year. Qualifying will be held on Saturday from 12 noon until 11:00 pm. from 11:30 am until 3:00 pm. Finals will commence at 3:00 pm on Sunday. Records will be running a high score tournament on the show floor. Saturday night from 7:00 to 9:00 pm. All in! Return of the Pinball Rodeo! 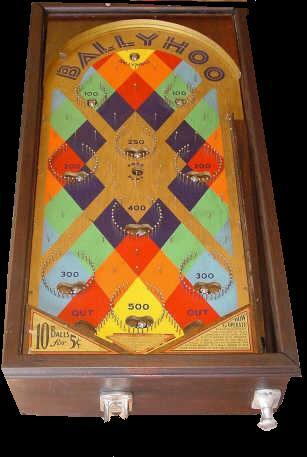 contests from his Wild West Pinball Fest. had so much fun with such a tough game. - "The Edge" (Game Plan SHARPSHOOTER conversion) and possibly others. Players compete for high scores on these unique beasts. showing off some rare, old mechanical games. Sports title that is soon to be released. been lucky enough to locate some concept artwork for this game! Come see both at this years show! 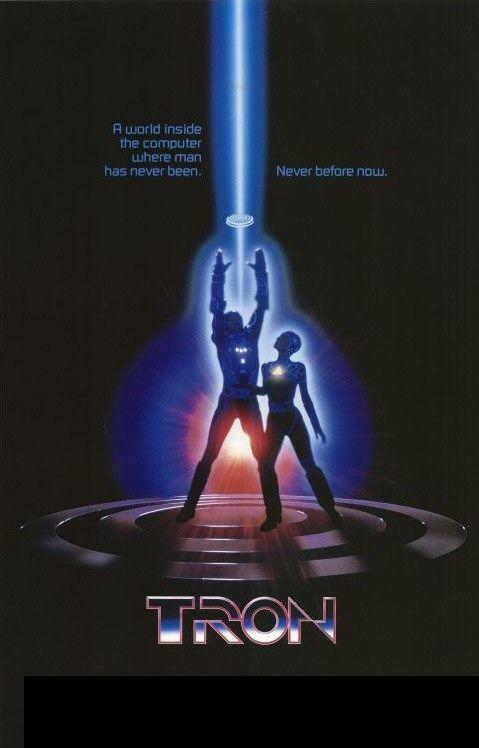 Sprint, Arcade Classics, Badlands and countless other classics Atari games. video and interviews from the classic era of Atari. Finally, we will present an 'Atari Museum' display for your viewing pleasure. never been seen outside the walls of Atari.